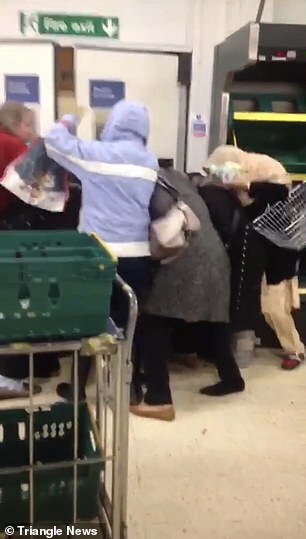 Bizarre footage has emerged of bargain hunters angrily shoving each other out of the way to get their hands on discounted food in Tesco. 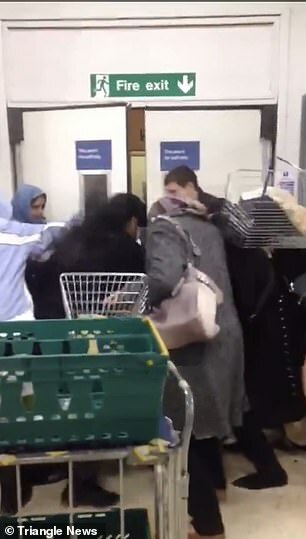 The footage, thought to have been filmed in Bromley by Bow, east London, shows around 10 people pushing into one another when cheap food is wheeled out. While waiting for the discounted items to be brought out, one woman tells another to ‘step back’ while using her hand to push her back. 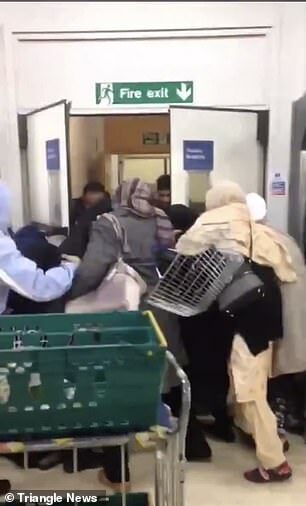 The group of shoppers can be seen waiting at the fire exit where the Tesco employee wheels out the trolley containing the reduced items. 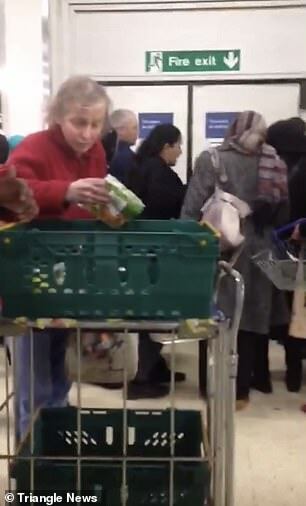 One woman throws whatever she can rummage out of the pile straight into her shopping bag while another flings vegetables into a shopping basket. Another woman almost takes a tumble after she is pushed by the desperate crowd trying to get the cheap food, but she quickly recovers and tries to get items as well. A Tesco spokesperson said: ‘To make sure no good food goes to waste we reduce the price of some fresh products towards the end of the day.